My sister recently had an ancestry genetic test done that revealed our family is 93 percent Irish. Our ancestors arrived in the U.S. in the mid-1800s, forced to leave Ireland due to starvation from the Great Famine. Unable to support the basic needs of survival for themselves and their families, my ancestors took their chances, emigrating on coffin ships bound for North America. Both sides of my family landed in Canada then traveled south and west, ending up in Spokane and Ritzville. My kin and other desperate humans came to North America seeking asylum. Despite humble beginnings — like many Irish at that time, they could only find work as laborers or domestic help — they managed to establish homes and, gradually, built a brighter future for the benefit of the many generations of proud and productive Irish Americans who came after them. Immigrants, including my ancestors, became educators, advocates for justice, caregivers, engineers, entrepreneurs, clergy members, artists and entertainers. It would be a very different America without their contributions. In fact, many Americans can take a similar journey through their family's history. Whether fleeing violence, oppression, poverty or pestilence, they found in America a safe harbor. I understand that there are well-defined right and wrong ways to gain entrance to the U.S., particularly since 9/11, but I can also understand how flames at one's heels could lead one to attempt to escape by any means necessary. But I have to say that separating children from their parents and guardians is not good for their development. We only have to look back the Romanian orphanages of the 1990s to see the consequences of failing to form connections and attachments during childhood. Here's what we know: There are emotional "growth plates" present in a child's developing brain that "close" far too soon if connections and attachments are not made or maintained during this crucial time. As adults, there will also be emotional "growth plates" that fail to mature if connections and attachments were not made. I will also mention that detaining children, even with their parents or guardians, is also not good for their development. A child can't develop a sense of security and trust from a parent who is not in control of his or her own freedom and security. We need only look back to the Japanese internment camps of the 20th century to see the rippling effect on children. To quote the Centers for Disease Control: "Childhood experiences, both positive and negative, have a tremendous impact on future violence, victimization and perpetration, and lifelong health and opportunity. As such, early experiences are an important public health issue." 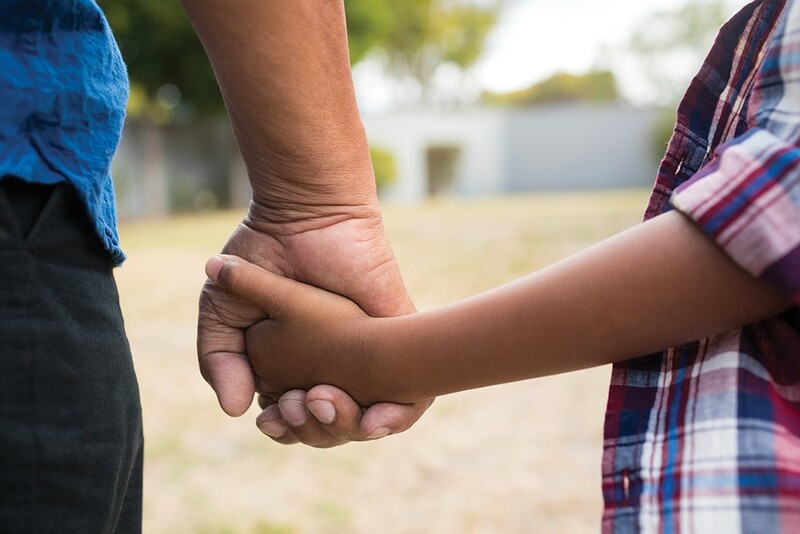 Over the course of my career as a pediatrician, I have witnessed firsthand the chaos and suffering that can result when kids experience trauma or do not have anyone to lean on during those important years of development. I have seen this with children adopted from other countries, children who have spent time in the foster system, children from fractious and fractured homes and children subject to abuse and neglect. I don't have the solution to this messy problem, but I do know it should not include stripping people of their freedom, attachments and humanity.